Please read this notice before sending an e-mail message to Mastin Bergstrom LLC. 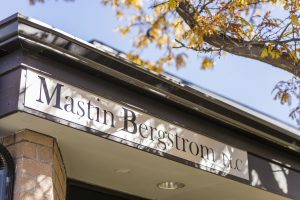 Any information that you send us in an e-mail should not be, nor will it be considered to be confidential or privileged, and does not make you a client of Mastin Bergstrom LLC. If you are interested in having us represent you, please call us at 303-217-4876, so we can determine whether the matter is one that we are willing or able to accept, and is consistent with our professional responsibilities and obligations to other clients. We reserve the right to decline any representation. We will not make this determination by e-mail communication, and may not respond to your comments or inquiries sent to us through this site or by e-mail. By continuing to the next step, you are confirming that you have read and understand this important notice. If you are searching for a particular attorney or for an attorney with a particular specialty, please visit the Our Team page. What area of law is this regarding?